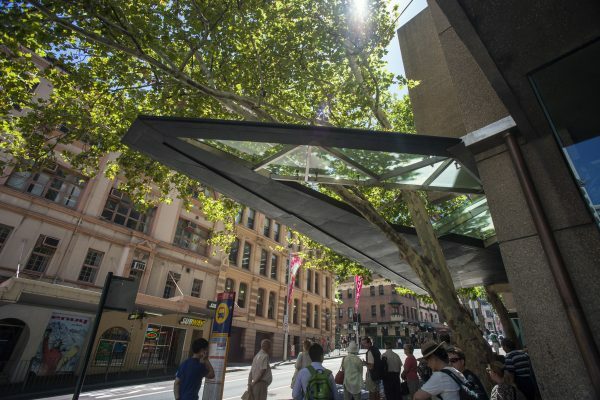 This is the first of two Frazer drinking fountains donated to the city by John Frazer MLC, a wealthy businessman and philanthropist. 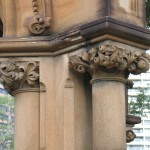 The fountains are both made of fine Pyrmont sandstone and were installed in 1881 and 1884 respectively. 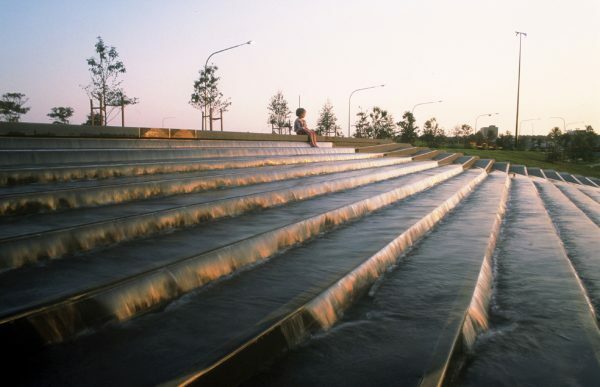 While both fountains were designed by City Architect Thomas Sapsord and sculpted by Mittagong sculptor Lawrence Beveridge, they are very different in style. 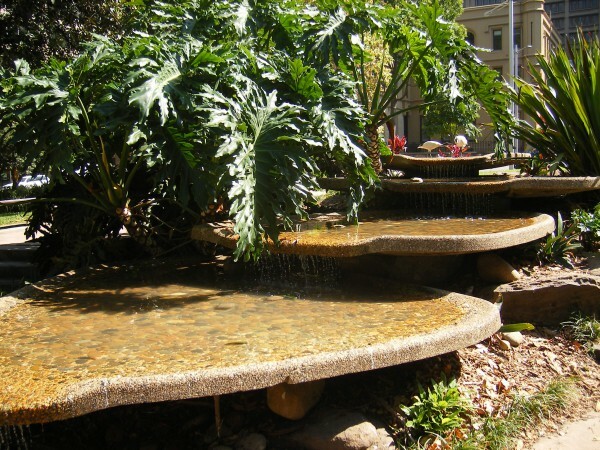 This fountain – the first – was designed in the Gothic style, and is set on a square base. 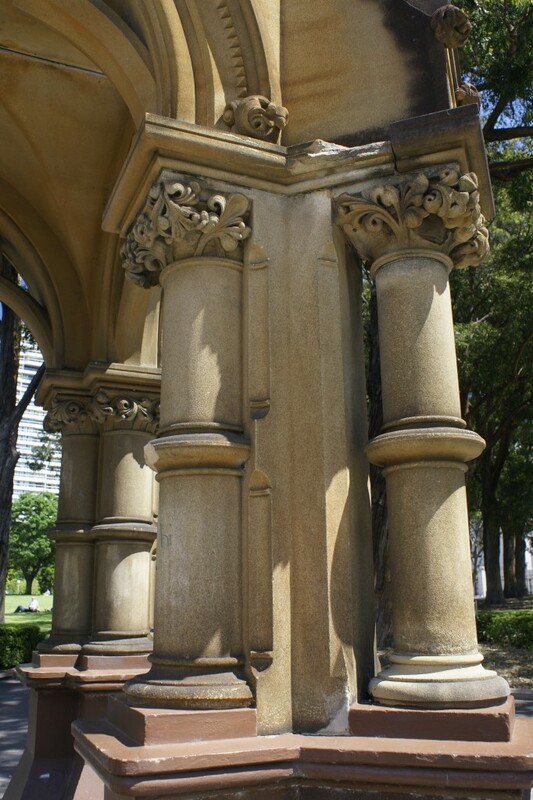 Four column groups, which support the wide arches, arise from the corners. There is a crenelated spire surmounted by a lantern, and steps at the base of the fountain give access on each side to the area where the water basin formerly stood. 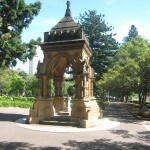 The fountain is now located in Hyde Park South, opposite Sydney Grammar School. It was moved twice in the first half of the 20th century. The first relocation, in 1917, saw it fall victim to patriotic fervour, when it was removed to a position near the present Pool of Reflection to make way for the Emden Gun. 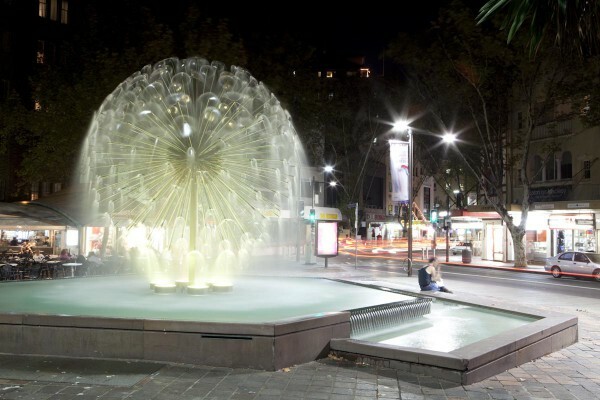 During the second move, in 1934, the taps and drinking cups were replaced with a bubble fountain in keeping with changing attitudes towards health and hygiene. 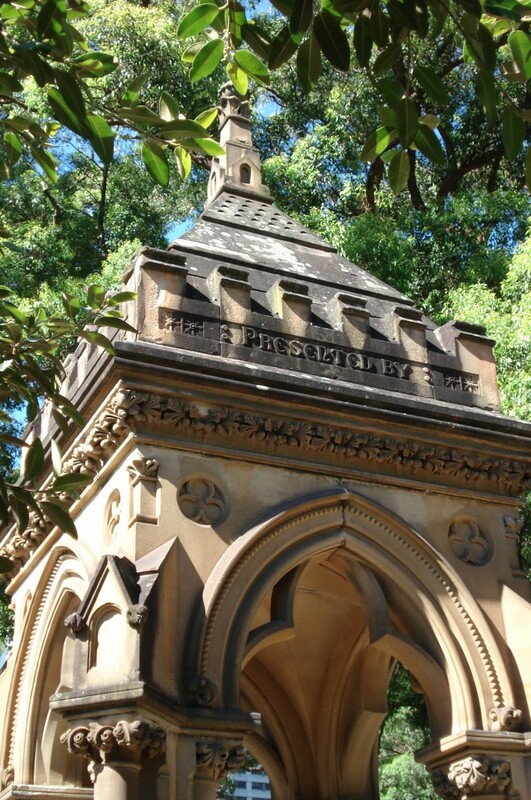 The two Frazer fountains demonstrate aspects of daily life in the 19th century, particularly in relation to water supply and usage, and public health and hygiene. They are also an indicator of the philanthropy demonstrated by the wealthy living in the city at the time. 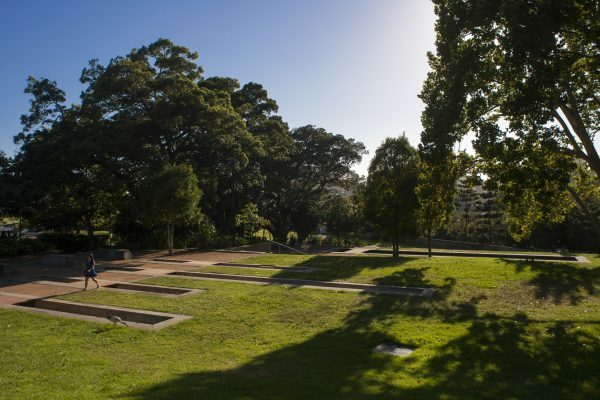 In early 1880’s Sydney, the city’s piped water supply was unreliable and largely restricted to the wealthy. Occasional crises in supplies of water were only abated after the completion of the Nepean system in 1888. 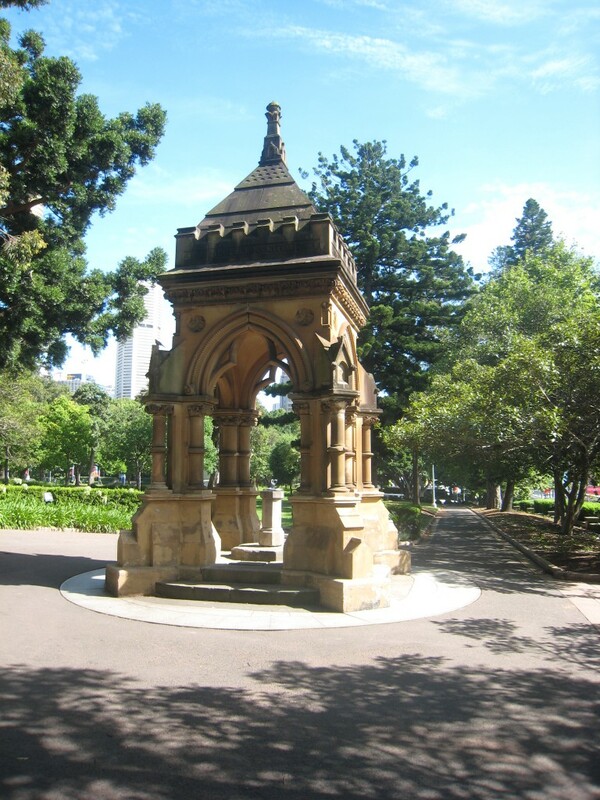 Drinking fountains in public thoroughfares and parks were common. 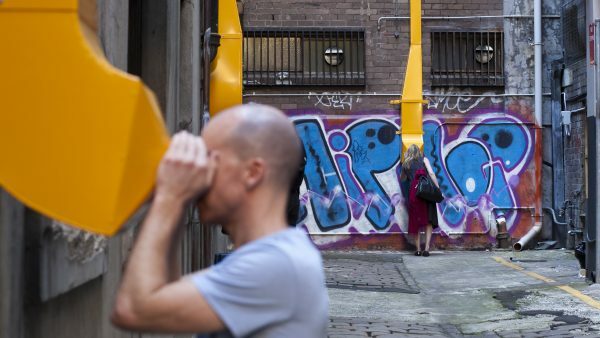 Hygiene standards were also far less stringent than they are today, as illustrated by the use of communal cups which dangled at the sides of the basins. 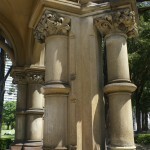 For philanthropists, the masonry of the fountains also afforded a publicly visible space on which their name and good works could be recorded for posterity. 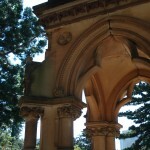 Both Frazer Fountains were designed by Thomas Sapsford and sculpted by Lawrence Beveridge. 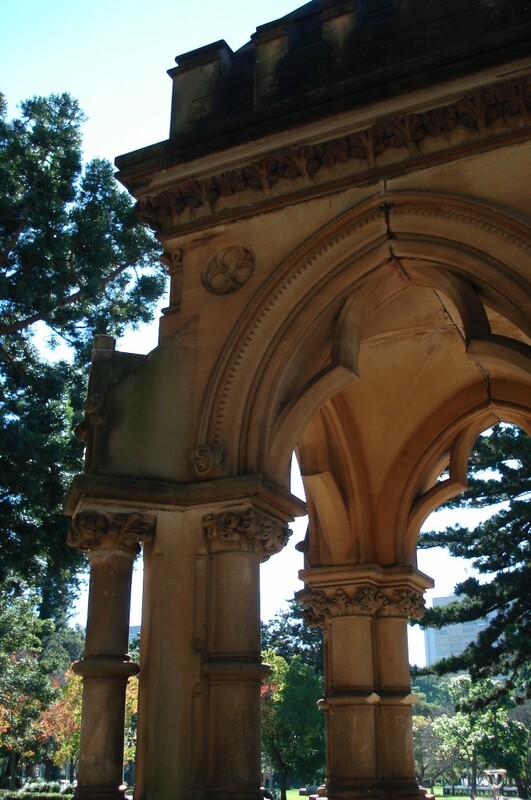 Sapsford served as City Architect for the Council of the City of Sydney between 1881 and 1885. 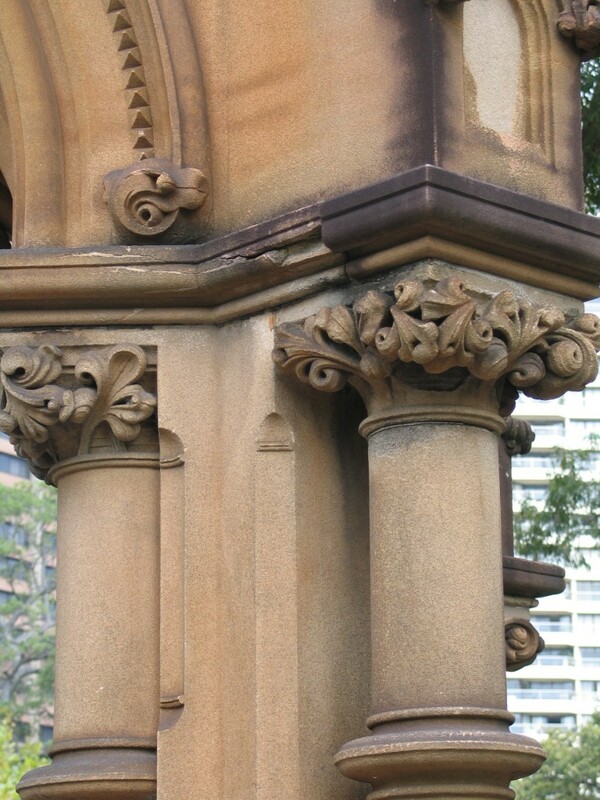 Sapsford was responsible for the design of Centennial Hall in the Sydney Town Hall. John Frazer’s gift to the city came at the end of a comparatively short, but eventful life. Born in Ireland in 1827 he arrived in Australia, penniless, in 1841. Frazer set up his own wholesale grocery business in 1847. 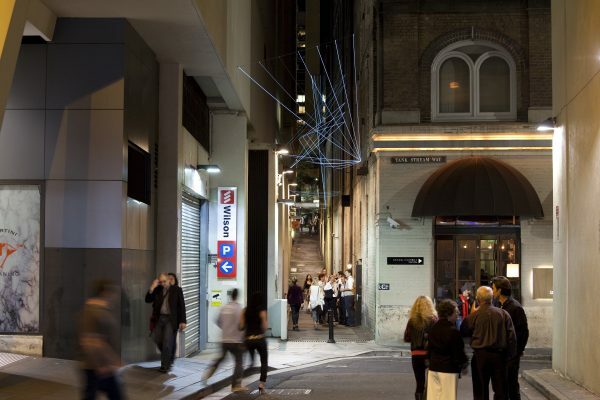 By the late 1850’s he had moved into partnership and larger premises, becoming a land speculator in the 1860’s and opening two large commercial premises in the city by the early 1870’s. 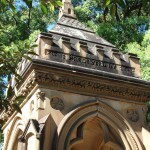 In 1874 he was nominated to the NSW Legislative Council, and by this time he had retired from his own business concerns. His philanthropic activities were wide-ranging, including gifts to a variety of religious, cultural and educational causes. The inscriptions are set high up, using raised lettering on a slab below the crenellations. On the western side: JOHN FRAZER M.L.C.